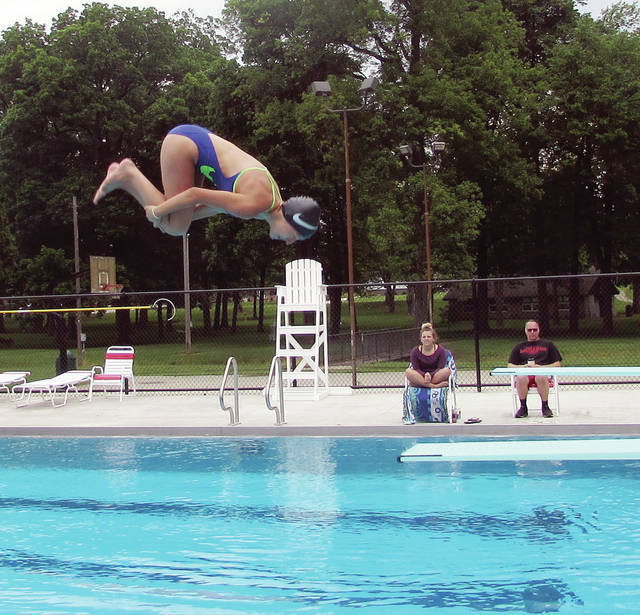 Bailey McGuire, a lifeguard for the new Wauseon pool, does a flip off the diving board during dive training. Keri Chamberlin, shown with 1-year-old Vivian Cline of Maumee, said the pool is a great way to keep youth busy this summer. James Smith said Reighard Park was the right location for the new city pool. The day wasn’t quite hot, but that didn’t stop over 430 people from making the opening of Wauseon’s new pool on Monday a splashy affair. The first dips into the clear water during the day-long free swim didn’t cause a tide of fanfare. The real celebration will take place Monday, June 12, during an official dedication ceremony. The dedication is being held back to allow workers to make a few last-minute, minor adjustments to the project. However, the soft opening, which was announced quickly Sunday evening, didn’t hold back throngs of residents. They dove in and made themselves at home after a 10-year absence of public swimming facilities in Wauseon. “It’s an icon for the city,” Mayor Kathy Huner said. In her enthusiasm, she visited the pool site in Reighard Park three times on Monday, each time watching the crowd of swimmers grow. They resolved that conundrum by passing Issue 14, an additional five-year, 2.6-mill Parks and Recreation levy that began generating $290,483 annually in 2016. The levy has funded pool construction and amenities, and renovated the pool house. In addition, the public voted where the pool would be located. “They wanted to support their kids and community by passing it, and showing their excitement by voicing their opinion,” Huner said. The new pool, which features a standard pool, a laned pool for competitions, and a shallow pool for younger children, also comes with a slide, a concession stand, and a new bicycle rack built by Public Works employee William Reckner. Designed by the Astro Pool Company in Mansfield, Ohio, it replaces the city’s original pool, which occupied the same space in Reighard Park. That one was built in 1941 as part of the government’s Works Progress Administration, and closed in 2008 due to deterioration. Wauseon City Council President Jeff Stiriz said the citizens of Wauseon deserve a pool. Chamberlin also believes the pool adds personality to Wauseon. “It will bring folks to the city who will not only visit the pool but might contribute to the local economy,” he said. Bailey McGuire, a 15-year-old lifeguard for the pool and a member of the Wauseon diving team, has only faint memories of the original pool. After executing a dive for her coach during a practice session on Tuesday, Bailey surveyed her surroundings. 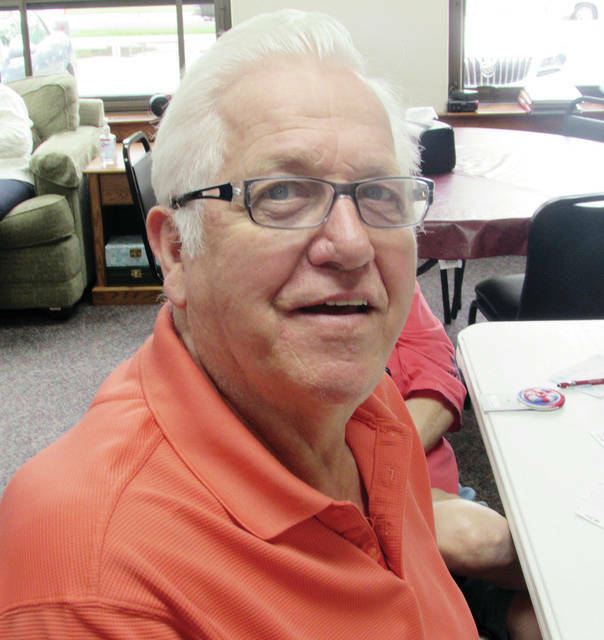 During a card game at the Fulton County Senior Center on Clinton Street, James Smith said, “It’s good for the community, for the kids.” He said while it took time for the city “to open their pockets up and get going with it,” in the end it all proved to be good. Huner said she’s had notices about the new pool on her personal Facebook page from former Wauseon residents now living as far away as Texas and California. https://www.fcnews.org/wp-content/uploads/sites/45/2018/06/web1_baily-mcguire-dives.jpgBailey McGuire, a lifeguard for the new Wauseon pool, does a flip off the diving board during dive training. 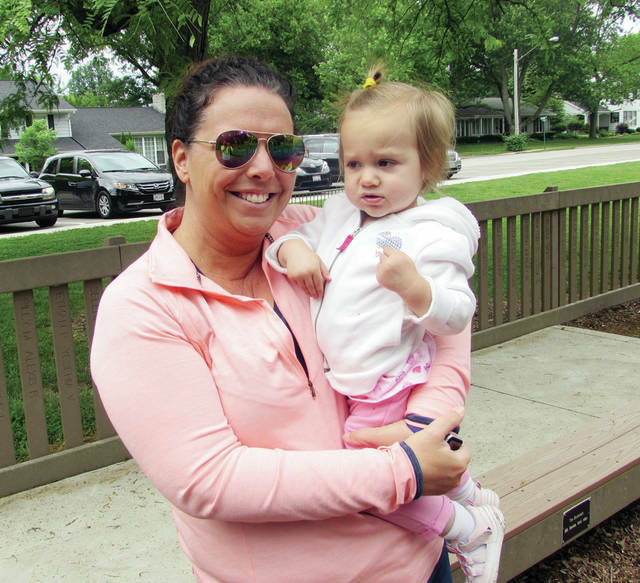 https://www.fcnews.org/wp-content/uploads/sites/45/2018/06/web1_chamberlin.jpgKeri Chamberlin, shown with 1-year-old Vivian Cline of Maumee, said the pool is a great way to keep youth busy this summer. https://www.fcnews.org/wp-content/uploads/sites/45/2018/06/web1_james-smith.jpgJames Smith said Reighard Park was the right location for the new city pool.